In honor of the upcoming battle of the bastards we are auctioning a Longclaw Sword of Jon Snow Damascus Edition one of the very few remaining available. 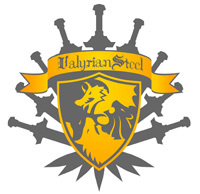 We plan to be shipping out Oathkeeper (stainless) and Jaime Lannister’s Sword soon. As in next week. So if you’ve moved or otherwise changed address since you ordered please email or phone us to let us know. Do not merely update your address on your account on our website, those changes aren’t retroactive on old orders, old orders need to be manually updated by us. Thank you. 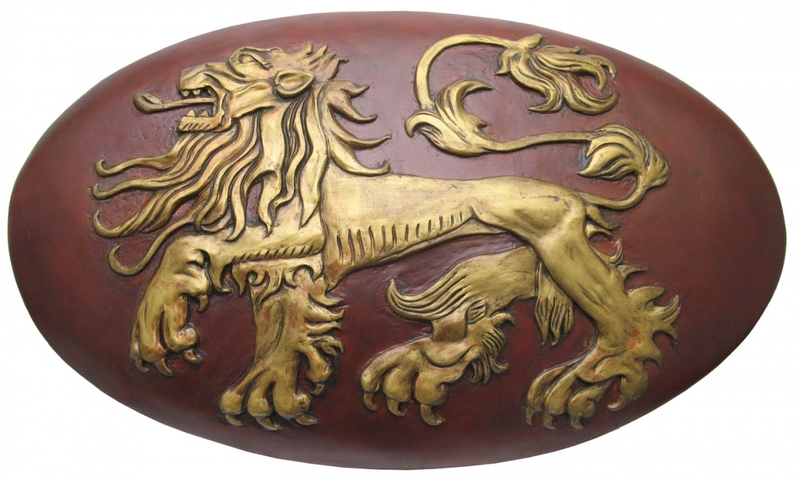 For those wondering, Damascus Oathkeeper & Arakh should ship in May, preorders for Needle and Lannister Shield should be in April. This past weekend we exhibited at Indiana Comic Con and met up with both Rory McCann and Jason Momoa. Rory posed with both Ice and his helm (and yes, it fits). Jason signed our prototype arakh for us, so now it is both a prototype, and autographed, nice huh? On completely unrelated news. Jaime’s sword and stainless Oathkeeper are still scheduled to ship the last week of March (possibly 1st week of April at the latest) and Ice Damascus is almost sold out, I think we’re down to single digits. We also took pictures of all our GOT/ASOIAF cosplayers, check them out here. We just discovered a bug in the feedburner email delivery setup for updates. So we’re reposting this announcement. If you did not see the announcement that the Catspaw Blade is going to go on sale. Here is the reminder. It will open up for preorders tommorow, Sunday January 6th at 12:00PM noon eastern time. 1. Our last Longclaw prototype is being auctioned on eBay. This is 0000/2500 and was the second and final prototype we made for Longclaw. This is the sword sent to GRRM to review for the final product approval. 2. Just 109 of regular limited edition Ice left. They could be all gone in a week.